It's dinner time, and I'm once again staring down the table at my two-year-old, waiting, hoping, begging for him to take a bite. But he is skilled at this game of chicken (even though he wouldn't eat it), and he knows how to win. For a second he brings a piece of broccoli to his mouth. My breath catches in my chest. Nope. Not going to happen. He's throwing it to the dog. Life with a picky toddler can be frustrating and exhausting. You wonder if they are getting enough nutrients, if your cooking is sub-par or if you will have to force-feed them vegetables until they are 12. As stress-inducing as these food battles can be, experts say they are a normal part of development. But while you're waiting for your child to grow out of this not so enjoyable phase of life, there are a few things you can do to keep your sanity. Even though these little meal manipulators are just a few months removed from learning to hold their head up and mastering walking across the room, they already know how to push your buttons and get what they want. They know that if they don't touch their meal, even after you've begged them to try it, that you will eventually give up and let them get down from the table. And when they fain hunger right before bed, you will give them a snack to fill their veggie-less bellies. But, hold strong. Don't give in. Keep presenting them with meals, and avoid giving them too many snacks between meals. Kidshealth.org suggests giving them a healthy snack at the same time each day. That way, you're not giving in to "on-demand" eating habits. 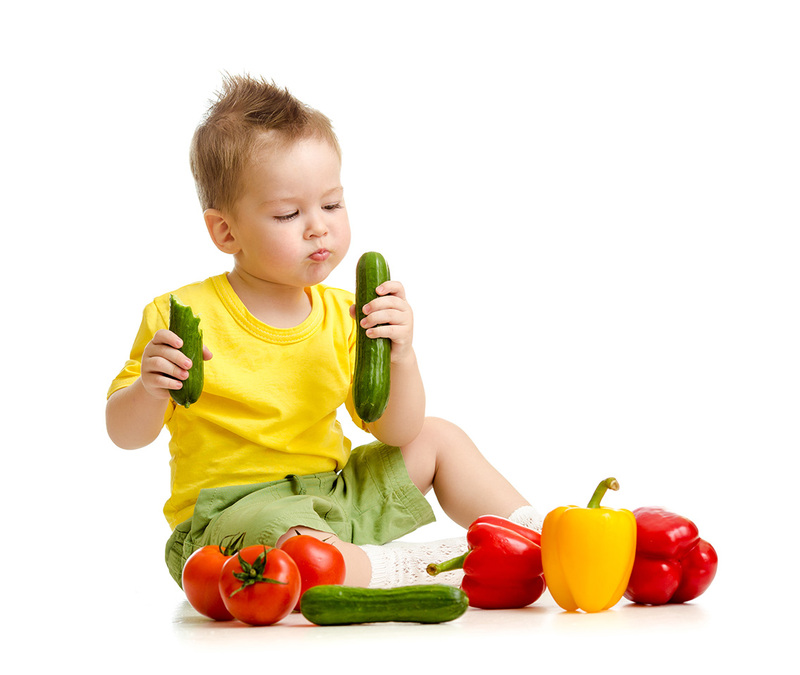 Toddlers are learning to control some aspects of their lives, and what they eat can become one of those areas. These tiny people are naturally picky eaters, and it can be much easier to give in to their demands so they will just eat something. But allowing your child to make demands or avoid certain foods will only reinforce their picky tendencies and keep them from trying new things. These habits can ultimately lead to serious problems like obesity if they develop a preference for only unhealthy foods. Choose healthy menu items and continue to offer them to your child. Eventually, their tastes will evolve and they will be open to trying new foods on a more regular basis. One government study found that children need to try a food up to ten times before they truly know if they like it. Now that your toddler is a little bigger and possibly finished with his high chair, it is important to include him in the family meal and allow him to sit at the family table. Kids are more likely to eat more nutritious meals if they are eating as a part of a family unit. Encourage older children and adults in the family to demonstrate good manners and healthy eating habits, so that the toddler will imitate these desirable behaviors. By nine months of age a child should be attempting to feed himself finger foods. And by the time he is 18-months-old, your child should be using kid-friendly utensils. Although it might be nerve-wracking to let your child dig into a plate of spaghetti, allowing them to feed themselves not only helps to hone motor skills, but experts say children who feed and serve themselves are more likely to eat the correct portion sizes. If your child has come to associate mealtime with being pushed to eat foods he doesn't like, or to use manners he has not yet mastered, then he might begin to dread meals altogether. You can help your child have a more positive experience by not only giving him lots of praise when he does take a bite of something new or finishes something on his plate, but by alerting him that mealtime is coming. Try to serve meals around the same time every day and tell your child a few minutes before the meal is served what is about to happen. This will give your child the sense that he has some control over the situation. So, don't give up hope. Your picky toddler won't starve. He or she will eventually eat what you put in front of them if you give them enough time.